With great pleasure and pride I present to you our new 2019 Viper! After much trial and error and a few more years of experience under our belt, I’ve decided to come back to this project and refine it with some new solutions, techniques and upgrades. 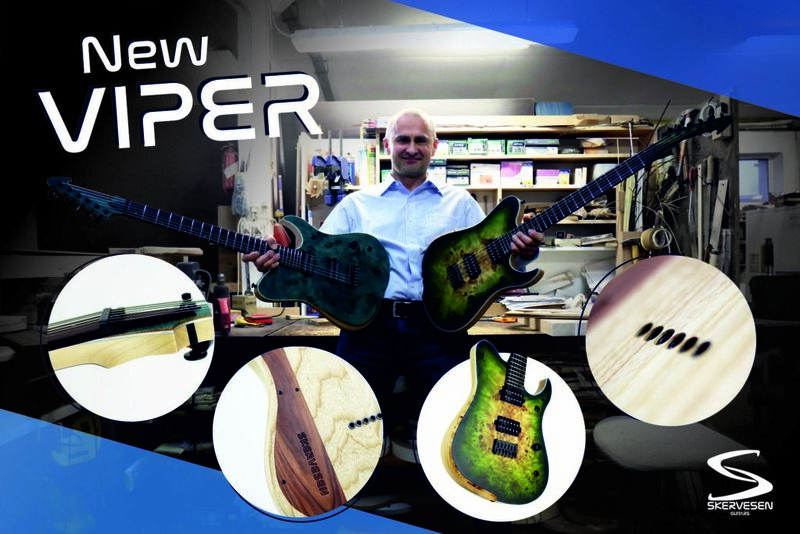 I believe details such as improved ergonomics, increased body thickness, Alu Tech Reinforcement or “ATR” (an aluminum middle layer built into the headstock for improved stability), and a few things things that can’t be seen with the naked eye, have given us a much improved result and I’m confident you’ll agree. 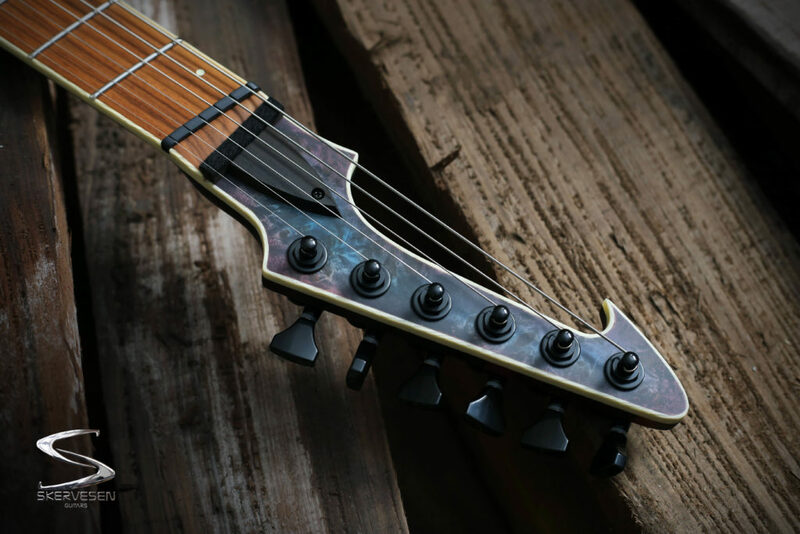 Of course, I’ve kept the much loved… and often inspiration-inducing 😉 … Viper headstock; an original design created several years ago by our good friend Tomek Mucha. A design that has helped define our brand. Rather than try to put everything in words, we invite you to play it for yourself at the 2019 Winter NAMM show in Anaheim California!